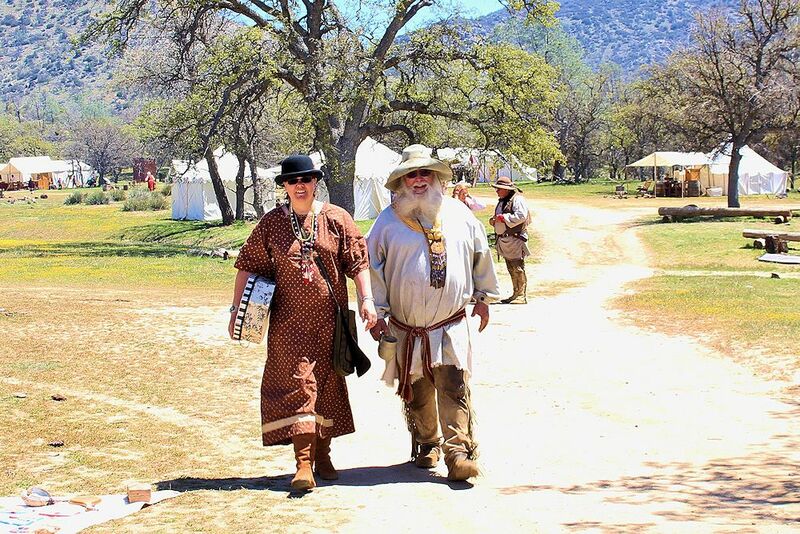 Sutlers selling Civil War uniforms and accouterments, guns, swords, flags and Civil War era civilian clothing add color and interest as do craftsmen such as gunsmiths, blacksmiths, basket makers, quilters, weavers, and artists of all kinds. Visitors from all walks of life came to Andersonville last weekend to enjoy a parade, sample the wares of the many food vendors, and take a trip back to a time when the nation was on the brink of being torn asunder by a brutal war. The first big activity is the parade on the main street on Saturday at 11 am. The Saturday parade, an annual favorite, includes a marching band and a wide variety of participants and entertainmen, and features marching soldiers wearing the colors of both the Union and Confederate armies of the civil war. Special entertainment include performances by The Southern Gunslingers, puppet shows, line dancing, clogging, bluegrass, jazz and country band performances, and gospel singing. War reenactors will mingle with visitors, clad in period-accurate garb to accentuate the many historic attractions available to festival goers, including a working blacksmith shop, a variety of antique and collectibles stores, arts and crafts vendors, reproductions of buildings from the 1860s and, of course, the Civil War battle reenactments. There is a lot to do at the Andersonville Historic Fair and Civil War Reenactment and in the Anderson Historic Village. This is a family-friendly event, so bring everyone! No animals over 20 pounds; all must be on leashes. Mark your calendar today so you don’t miss the next on the first Saturday and Sunday in October at the Civil War Village of Andersonville, Georgia.